A Rhode Island native, we Las Vegans can’t quite put a finger on his East-Coast-type of charm, but let us be the first to warn you he’s the kind of guy that you might cause you to lose a little sleep; since seeing Mat in action, a portion of our once peaceful shut-eye has been spent questioning our entire existence however, he is only guy we know that can make wine bottles multiply like bunnies, which (obviously) qualifies him as a keeper in our books. So yeah, Mat is seemingly normal, right? Well, yes… until the clock strikes 7 p.m. at The LINQ and he gets to entertaining his audiences with 90 minutes of mind-bending magic so convincing that trying to figure out if Hogwarts actually exists is our legitimate claim to our newfound insomnia. 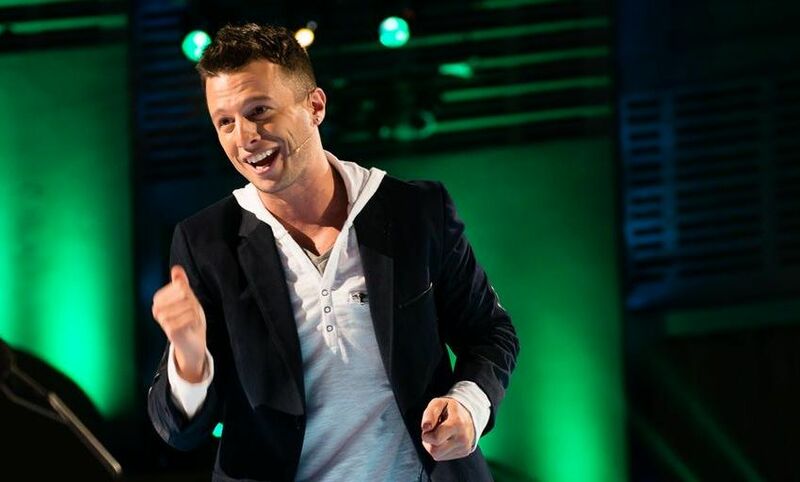 Since opening his headlining show, “Mat Franco – Magic Reinvented Nightly,” the young magician who was the first in history to win the massively successful reality television show “America’s Got Talent,” has been astounding Las Vegas with his unique style of magic that is unlike anything the Entertainment Capital of the World has ever offered. Becoming “obsessed” with magic before he could even read, the decades of practice this magic man has dedicated towards perfecting his craft is possibly the only certainty the audience can actually wrap their minds around during his show. Performing never-before-seen material, Mat takes his audiences on a journey that, as his show slogan confirms, is reinvented nightly. However, while (unbeknownst to his viewers) Mat is consistently changing the methods behind his tricks for his own performing pleasure, the main element that keeps his show fresh is actually the audience. For those of you who caught Mat during his time on “America’s Got Talent” you may recall the time when he made Mel B.’s phone appear in one of the upholstered seats in Radio City Music Hall or perhaps you saw his audition act that involved a shuffled deck of cards that magically told a story of the show’s three judges. Even if you saw these acts, Mat has revamped these tricks as well as dozens of others (one of our favorites includes a mountain of ramen noodle packages), that gives audiences no choice but to surrender all logic and just accept what you’re witnessing as… magic. 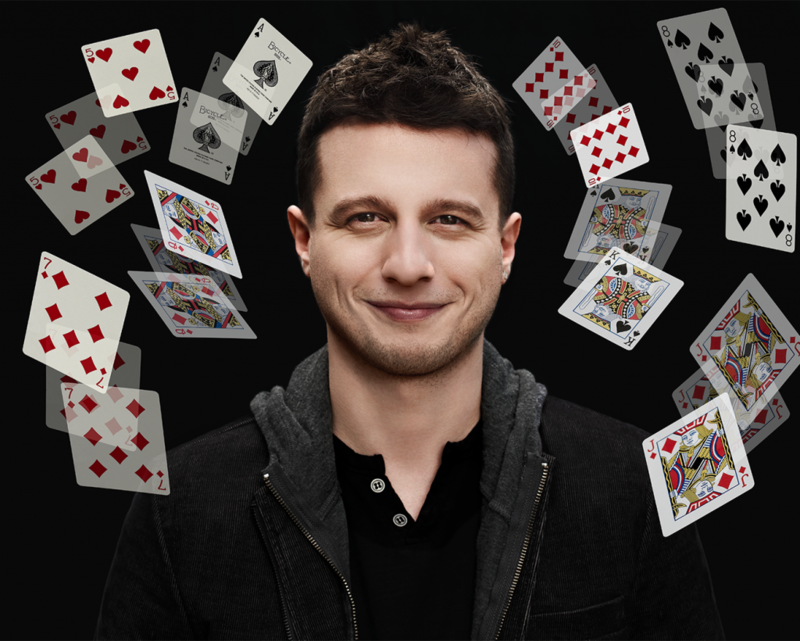 And while “Mat Franco’s Got Magic” is a one-time special (it aired on the silver screen on Sept. 17), you may get your chance to catch him in his natural habitat (magicians are kind of a breed of their own, right?) that is now Las Vegas. So, for a man of many secrets, there is no sleeve big enough to hide the fact that this one-of-a-kind magician has settled into Sin City and we have feeling that he will not be disappearing any time soon (unless you go to his show.) Oh, and sleep soundly assured in the fact that we will be the ones staying awake at night trying to figure this all out. 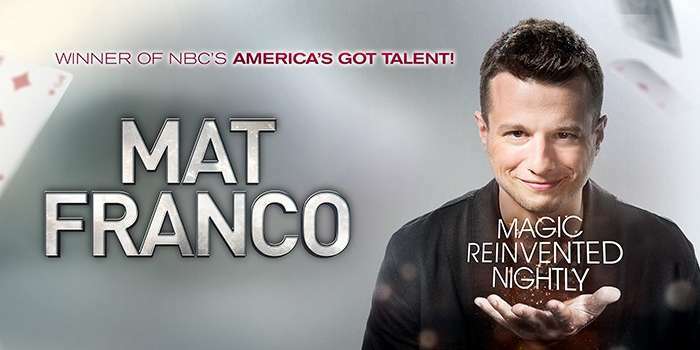 Get your Mat Franco show tickets and see him perform at The LINQ Hotel, every Thursday through Tuesday at 7 p.m. 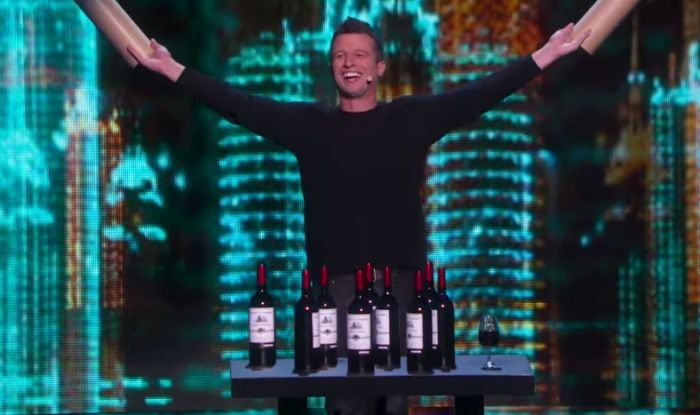 Check out this sneak peek of “Mat Franco’s Got Talent” when Mat meets up with Rob Gronkowski for a touchdown magic trick.